Kay Cassidy is the author of teen fiction she wishes was based on her real life. She is the founder of the national Great Scavenger Hunt ContestTM reading program for kids and teens and the host of the inspirational Living Your FiveTM web project. In her free time, she enjoys yoga, movies, music, and reading. Lots and lots of reading. 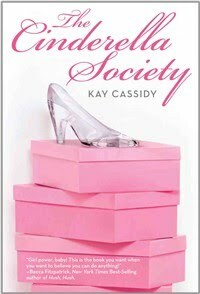 She hopes her debut YA novel, THE CINDERELLA SOCIETY (April 13, 2010 - Egmont), will help girls embrace their inner Cindy. What a girl to do when the glass slipper fits, but she doesn't want to wear it anymore? Then the Wickeds--led by Jess's arch-enemy--begin targeting innocent girls in their war against the Cindys, and Jess discovers there's more to being a Cindy than reinventing yourself on the outside. She has unknowingly become part of a centuries-old battle of good vs. evil, and now the Cindys in charge need Jess for a mission that could change everything. Overwhelmed, Jess wonders if The Cinderella Society made a mistake in choosing her. Is it a coincidence her new boyfriend doesn't want to be seen with her in public? And is this glamorous, secret life even what she wants, or will she risk her own happy ending to live up to the expectations of her new sisters? Mitali: You’re all about Girl Power. That’s understandable in this age. Your book has a lot in the way of boosting a girl’s morale. Why is that? Were you always sure that was the message you wanted to get across? Kay: Absolutely. I'm a huge believer in girl empowerment (and boy empowerment too!). I was a leadership development specialist in my corporate life and am especially passionate about it when it comes to developing the next generation of leaders. The idea of a society dedicated to nurturing the next generation of female movers and shakers is one that is very close to my heart. It was so much fun bringing that to life! Mitali: Tell me who some of your role models are. And how they’ve affected you and your thoughts and beliefs. Kay: My mom is one of my biggest role models. She has a form of cancer that is treatable but not curable, so it's sometimes a roller coaster for her going into and coming out of remission. But she has the most amazing attitude – it's so inspiring. The Cinderella Society is dedicated to her. She is 100% Cindy. Oprah Winfrey - Wildly successful because she stays true to herself and helps other people find their joy. Gives back in so many ways. 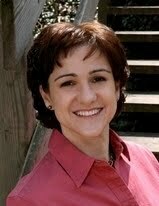 Daryn Kagan - After being let go by CNN, the fabulous former anchorwoman devoted her career to sharing uplifting stories showing "What's Possible". Reese Witherspoon - Able to juggle a successful career and a family while being a positive role model for girls. Carrie Underwood - Amazingly talented and remarkably down to earth despite her meteoric rise to fame. Mitali: Who would be your ideal Jess Parker? Mitali: The chemistry between Ryan Steele and Jess is off the charts. There is a certain conversation on pg 171-173 that is so hot it can burn a hole in the book. What was it like writing that particular scene? Kay: Ahh… the IM session? That's a fun one. :-) I actually had a good time writing all of the Jess and Ryan scenes. Their chemistry was one of the things that really resonated with me because it's part attraction, part connection that's both scary and wonderful, and part insecurity because they don't know what to do with this newfound wonder. Mitali: Where do you like writing outside of your office? Mitali: How’s the new desk working out for you? Kay: Lovie McLovesalot! I need to finish organizing some of the last bits so I can take pictures and blog about it. But I absolutely adore the space the U-shaped desk offers. Everything is right where I am, so no more commuting back and forth between my computer desk and my executive desk on the other side of the room. LOVE. Plus, it freed up room for me to buy a new recliner for the office so it's fully self-contained now. Score! Thank you Kay for answering my questions! I loved The Cinderella Society. It has such a powerful uplifiting message that not jsut girls but also boys can take in! Go Kay, and go Egmont! Looking forward to reading this one. I keep hearing such good things about The Cinderella Society. It sounds like it would be good for someone my age. Thank you so much for being part of the official TCS launch tour, Mitali! I appreciate you, sweetie!